Marketing isn’t cheap and banner posting or advertising is one of the more expensive marketing methods there is especially if you are advertising on a popular website. If you are dishing out a lot of cash to get your company name out there then you need to ensure that your banner has the best possible effect. When designers consider banner adds the first thing they usually consider is the design. The importance of the size of the banner is hardly ever considered. And this is a huge mistake. The wrong banner size limits the reach of your ad campaigns and affects the way viewers consider your company. Some banner sizes are just more visual appealing than others. There are unlimited banner sizing options for you to choose from but the following top 10 sizes have been known to generate the highest click through success rate. 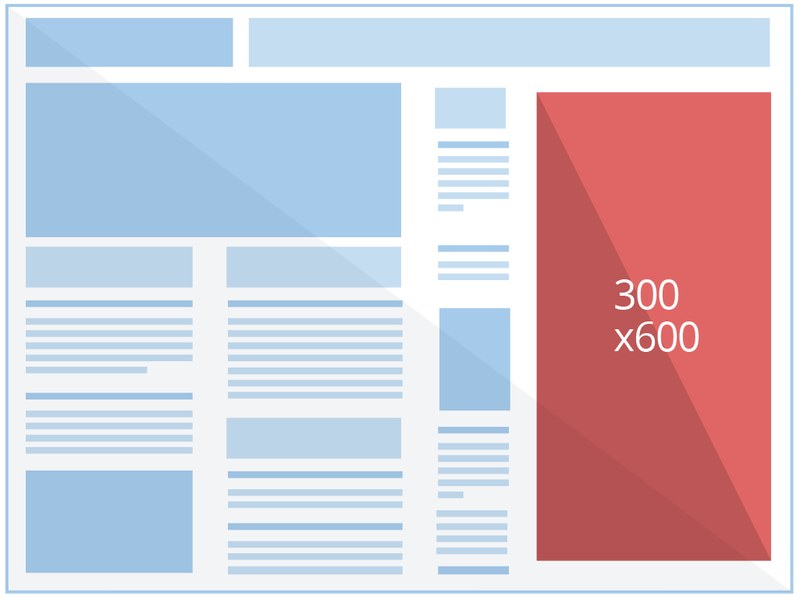 Here is a quick breakdown of the top 10 best banner ad sizes to consider as well as reasons why they are so appealing. This medium rectangle has an ad impression share of 33% and is the most commonly used banner size on Google’s networks. They capture a third of all click through impressions. With the highest click through rate you can definitely consider this banner size for marketing. The leaderboard has an ad impression share of 32% and is the second most common used banner size on Google networks. The banner is almost just as popular as the medium sized banner and can be a great way to display content differently. This banner is called the wide skyscraper and has an add impression share of 13%. It is surprisingly less popular than the other two banner sizes but is still the third best size to consider. This tiny banner is fourth best with an ad impression share of 3%. The banner is tiny which means you cannot really add a lot of information but it is terrific for improving brand awareness. The banner might be bigger than number 4 but only has an ad impression share of 2%. It is however still a good option if you need to share a little bit more information. This rectangular banner ad currently has an ad impression share of 2% but you should keep your eye on this banners popularity. Over the last year it has shown a 70% growth rate and is becoming increasingly popular for conversions. This tiny bar has an ad impression share of 2% which is good for its size and especially for the affordability of such a tiny banner. One of the biggest banner sizes to consider is the half page banner but it has a present ad impression share of only 1% at present although it is gaining popularity. This large rectangle has an ad impression share of 1% but sadly the growth for this banner isn’t much. This mobile leaderboard banner’s ad impression share is only 1% but it has a growth rate of 119% which means it might be one of the better banner ads to consider in the near future. With this list it is quite easy to see that the biggest ad isn’t always the most effective. For the best click through rates the medium rectangular and leaderboard banner ad is your best options at present.